An East Fremantle favourite will play his final game for the Blue and Whites this Saturday in front of a home crowd. Former Captain, Jamie McNamara has decided to call time on a decorated AFL and WAFL career. McNamara addressed the playing group last night at training, informing the boys that it’s time for him to hang up the boots. “I’ve had a few setbacks with the body over the last couple of years so it’s probably got to a point where I need to give it a rest,” McNamara said. McNamara said stepping aside will the give the younger boys an opportunity. “Where the club is at the moment, it’s important we place a high value on getting a game and I felt like I wasn’t able to play to the level I’d expect of myself. The timing is right and hopefully it gives a younger guy the chance to grab their opportunity for the last part of the year,” he said. Jamie is one of East Fremantle’s great stories. Playing juniors at Booragoon, he made his way through the development pathway through to Colts football. 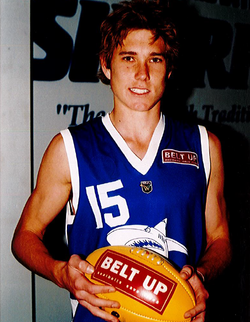 In 2006 he was selected in the WA State 18’s Academy and made his debut for the Sharks against South Fremantle in the Round 19 derby the same year. 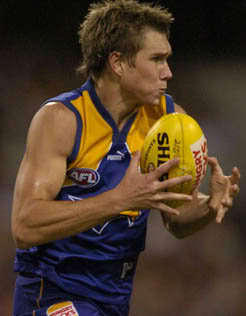 Playing four games in the back end of that year, McNamara was drafted to the West Coast Eagles with Rookie Pick #16. After showing some good form with the Sharks, McNamara was elevated off the rookie list to make his debut late in the 2007 season against the Saints. He earned a late call-up for the semi-final against Collingwood and acquitted himself well with 16 disposals and 3 tackles. Promoted to the senior list for 2008, McNamara was a regular in the senior side for the latter part of the season and played 11 games all up for the year. His best performance came against Brisbane, where he collected 21 possessions and a goal. After 19 AFL games with the Eagles, McNamara returned to the Sharks for two seasons where he finished second in the Lynn Medal both years. Pursing a playing opportunity in the VFL, McNamara made the move to Melbourne, spending two years with Williamstown. To the Sharks’ benefit he returned to the Blue & Whites in season 2014. Registering his 100th game against the Demons in 2015, Jamie was the runner up in the Lynn Medal for a third time. The following year he was nominated by his peers to captain the Sharks. 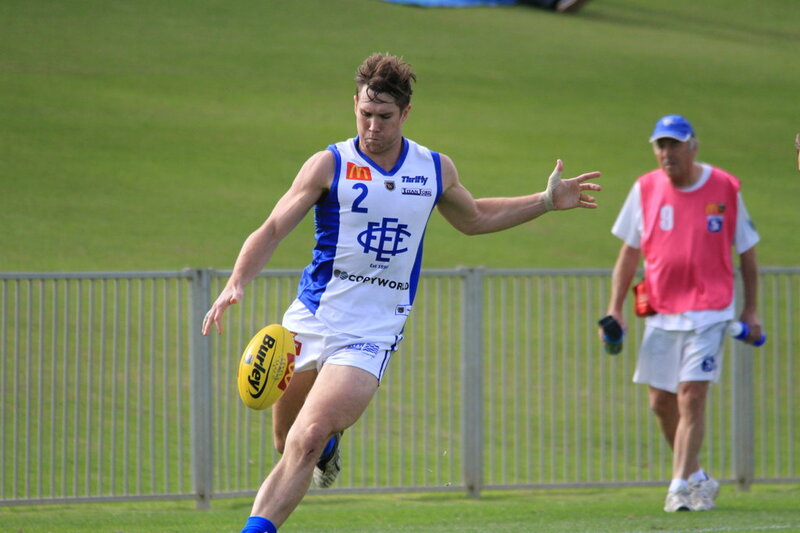 A courageous, consistent and passionate McNamara will finish his East Fremantle football career with 145 games. 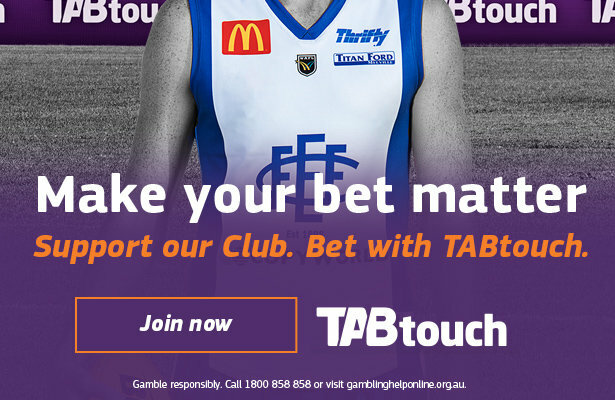 Under our new rules, he will automatically qualify for Life Membership at the end of the year. “The clubs been such a huge part of my life and they really paved the way for me as a junior coming through the system. From playing my first game as an 18yr old right through to the last few years it’s just been a great journey,” McNamara said. Jamie implored the up-and-coming Sharks to take responsibility in moving the club forward and towards its next Premiership. “The reality is we’re a fair way behind in some areas and there’s a lot of work to do in front of the group. But next year is going to be another fresh start and there are a lot of good people at the club that put in a power of work behind the scenes so I’m really confident they can bring back some success to the place,” McNamara said. The East Fremantle Football Club would like to not only thank Jamie for his service to club but wish him and his fiancée’ Jess, the best for the future.